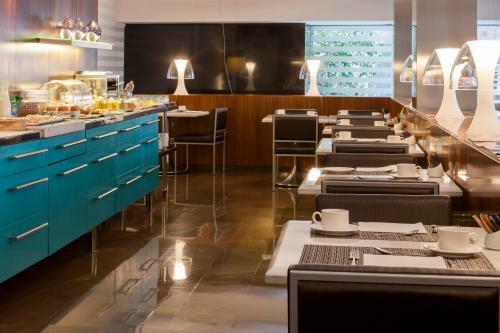 The AC Hotel Irla is located 200 metres from Diagonal and Francesc Macià Square. The hotel has stylish and comfortable rooms, a fitness centre and 24-hour reception. Rooms at this hotel are spacious and feature contemporary décor. All rooms have air conditioning, minibar and private bathroom. Facilities at the Irla include Turkish baths, café-bar and free Wi-Fi access in public areas. 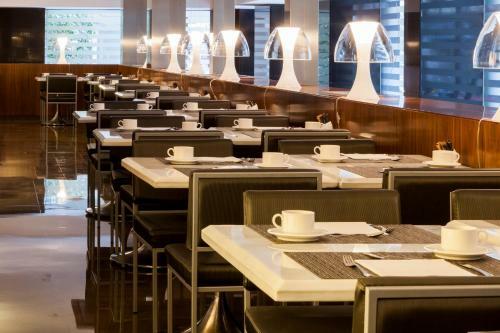 Guests can enjoy breakfast in the Irla’s restaurant. There are also bars, cafes and restaurants in the area surrounding Francesc Macià. Attractions such as Casa Batlló, Casa Mila and Plaça de Catalunya are within 30 minutes’ walk of the AC Hotel Irla. The hotel is close to bus and tram connections and is a 20-minute walk from the Metro station, Diagonal. This air-conditioned room features a minibar and a flat-screen TV with over 20 channels, including international satellite channels. It has a work area with a desk and chairs, and Wi-Fi is available for an extra cost. There is a private bathroom with shower, bathtub, hairdryer and free toiletries. It has a king-size bed or 2 single beds with 100% cotton sheets and a range of pillows. Rate: € 119.90 ... € 196.90; select dates below to get current rates. This double room features a minibar, bathrobe and air conditioning. Rate: € 152.90 ... € 229.90; select dates below to get current rates.